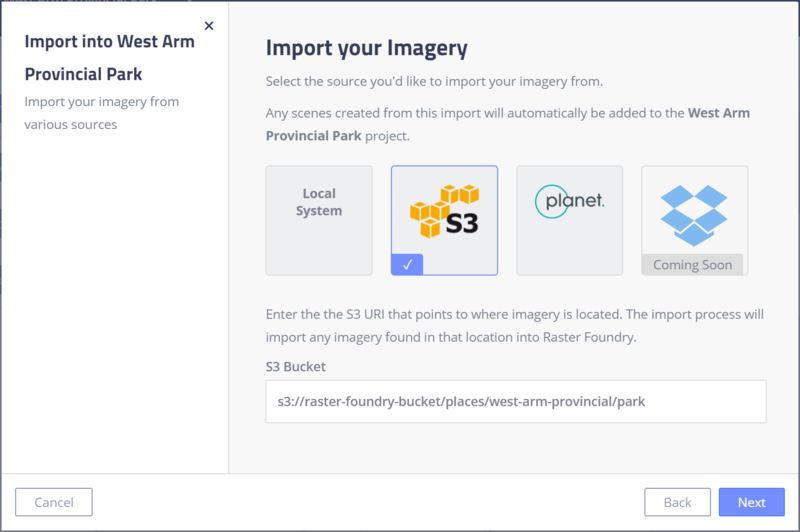 The AWS S3 service is a simple way to store imagery in the cloud. If you have your own imagery stored in S3, you can have the Radiant.Earth importer to pull that imagery directly into a Radiant.Earth project. 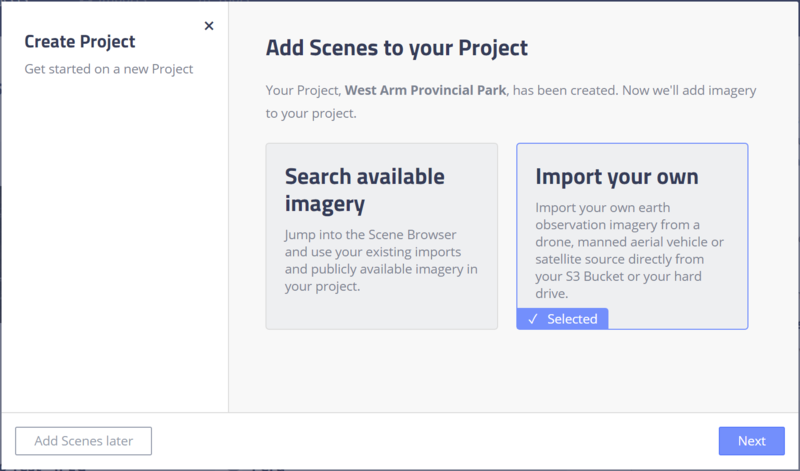 You can import your imagery stored in S3 into a new or existing project. For this demo, we'll be starting from a new, standard (non-AOI) project. 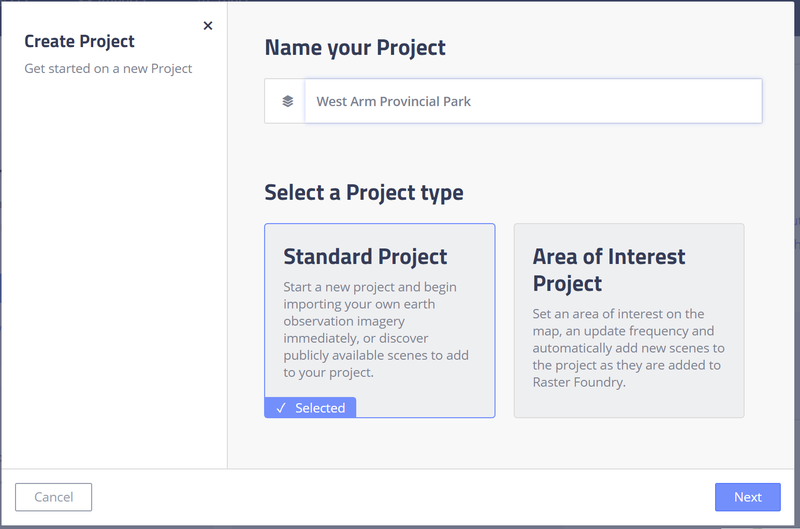 Create the project, give it a name, and specifyStandard Project. 2. Select the option to specifyImport your own" imagery. 3. Select the appropriate image source. For this project, we will be importing UAV - 3 Band imagery. 4. Select S3 as the source of the imagery and enter the S3URI for the location of the imagery. 5. 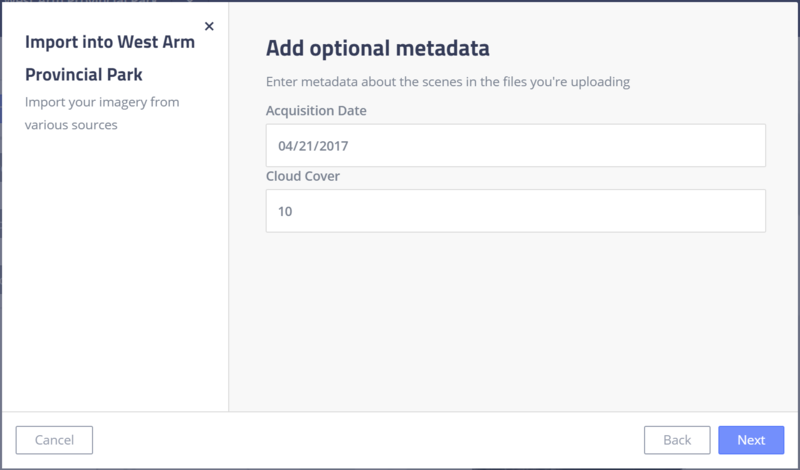 Enter any metadata you have about the imported imagery. 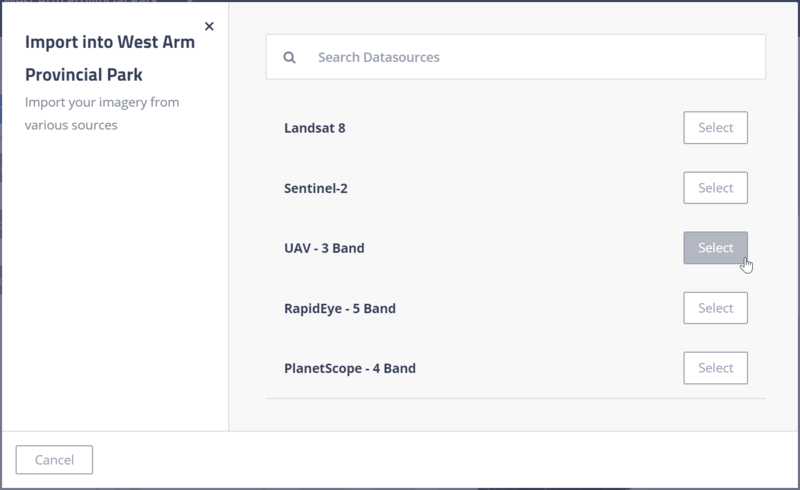 This is optional, but can make searching for your imagery in Radiant.Earth easier. Click Next when finished. This will kick off an ingest of imagery in the data into your account. Once the imagery is successfully ingested, you'll be able to work with it in Radiant.Earth. This may take a few minutes to show up in the project. if you refresh the page after processing, the imagery will appear.